Bob's Burgers Cookbook | Nerd Much? One of the running gags on Bob’s Burgers is the pun-filled “Burger of the Day,” and thanks to the folks at The Bob’s Burgers Experiment tumblr, fans will soon be able to have their own Bob’s Burgers cookbook. In most Bob’s Burgers episodes, a burger of the day is written on a chalkboard, all of which are cleverly named, such as a “Foot Feta-Ish” or a “Pepper Don’t Preach” burger. The Bob’s Burgers Burger Book: Real Recipes for Joke Burgers book will provide nerdy recipes for those that want to make Bob Belcher’s undoubtedly delicious creations at home. It includes 75 original, practical recipes. You’ll be able to serve a “Sweaty Palms Burger” to your crush like Tina. 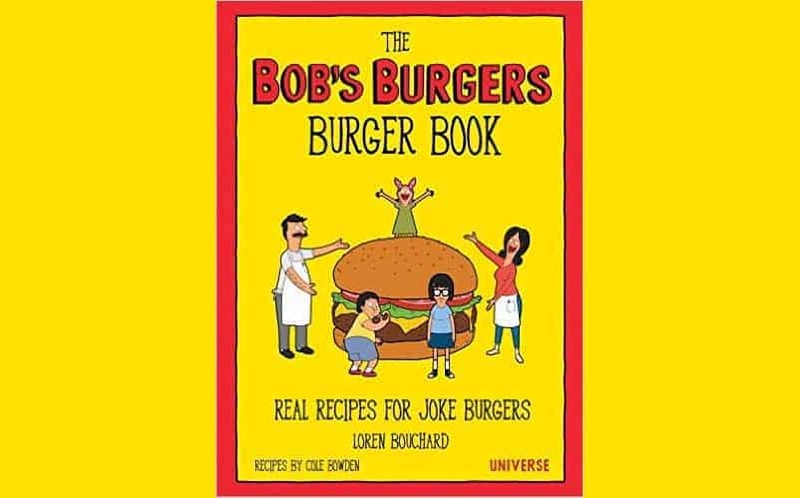 The Bob’s Burger Book: Real Recipes for Joke Burgers has a release date set for March 22, 2016, and it’s available for pre-order on Amazon for $19.95. Want to see The Belchers at their best? Here are the top Bob’s Burgers episodes. Pre-Order Bob’s Burger Book: Real Recipes for Joke Burgers here.